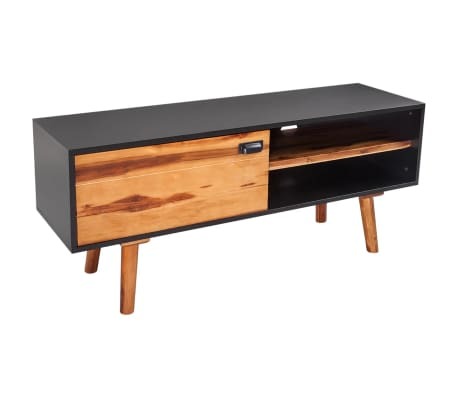 Our high-quality TV cabinet is both stylish and practical. 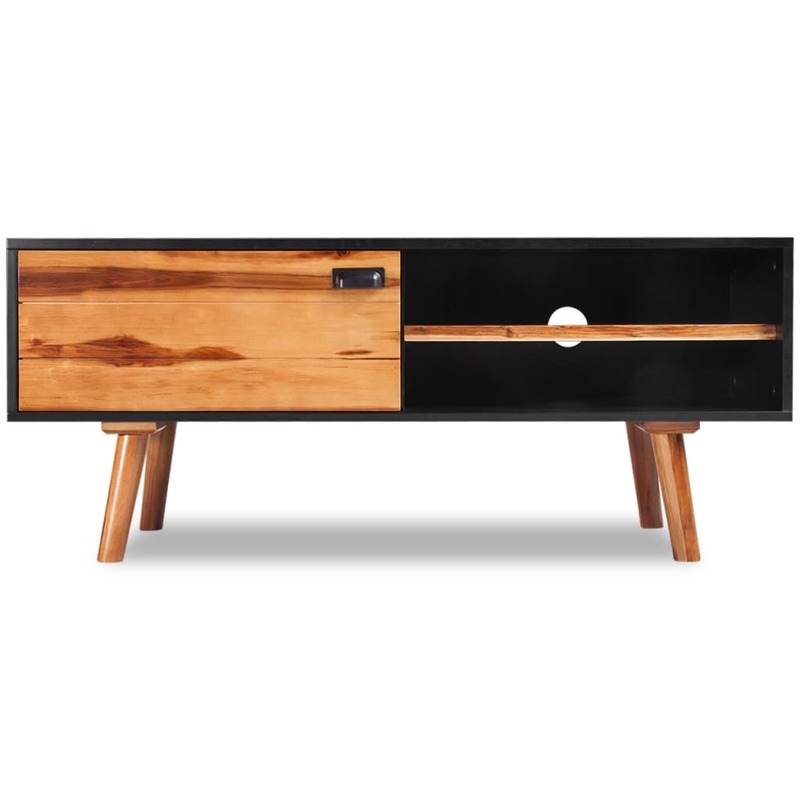 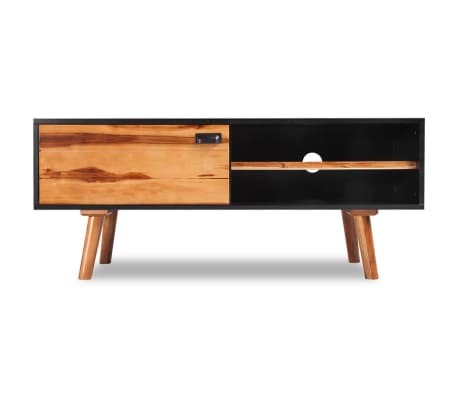 Its elegant design will make this TV cabinet the focal point of any living space. 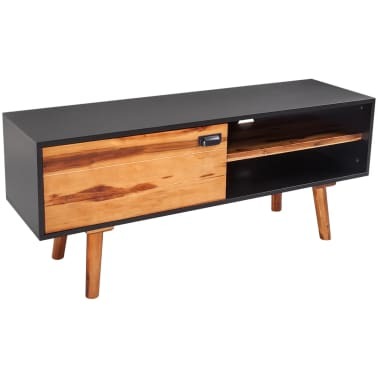 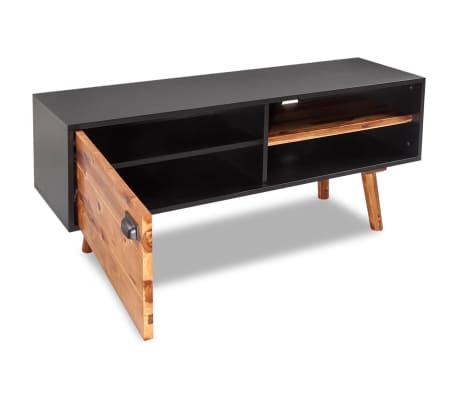 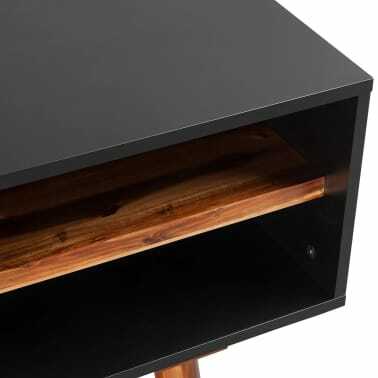 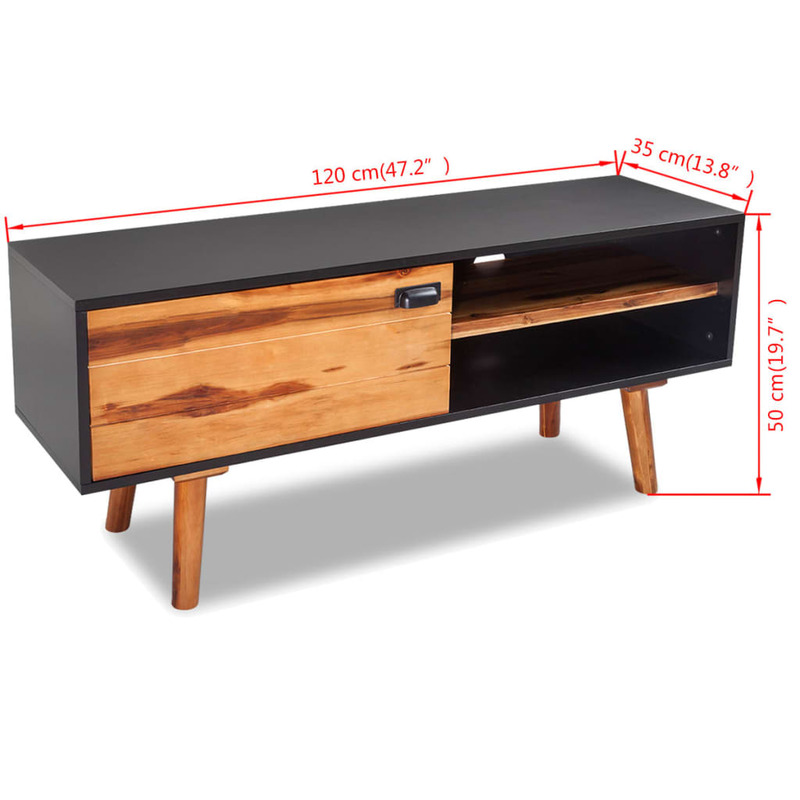 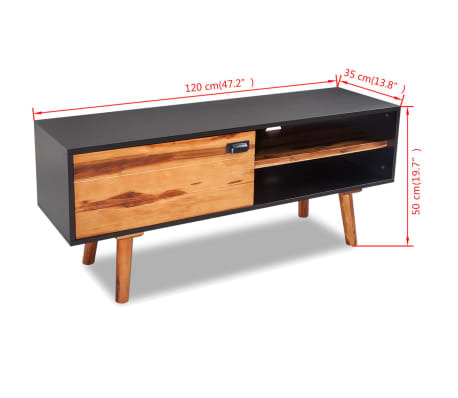 Expertly crafted from solid acacia wood and high-quality MDF, the TV cabinet is very sturdy and durable. 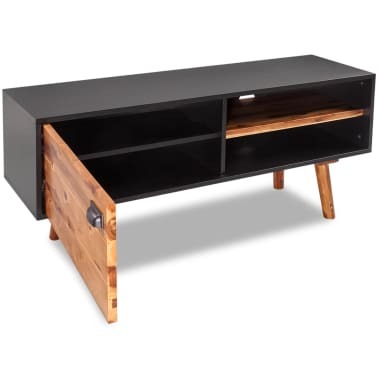 It has sufficient storage space for keeping your DVD player, game console, remote controls, and other knick-knacks organized and within reach. 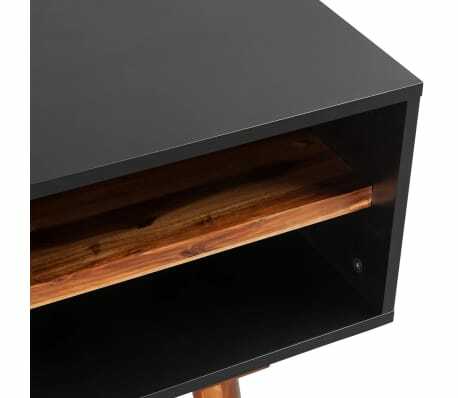 The convenient cable outlet allows you to neatly keep all wires out of sight.